These ChargeIt! 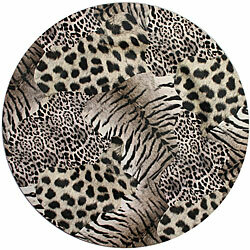 by Jay charger plates feature an elegant Animal print that will bring interest and uniqueness to your dining table. These chargers come in a set of four, so you and guests can enjoy a delightful table setting together.